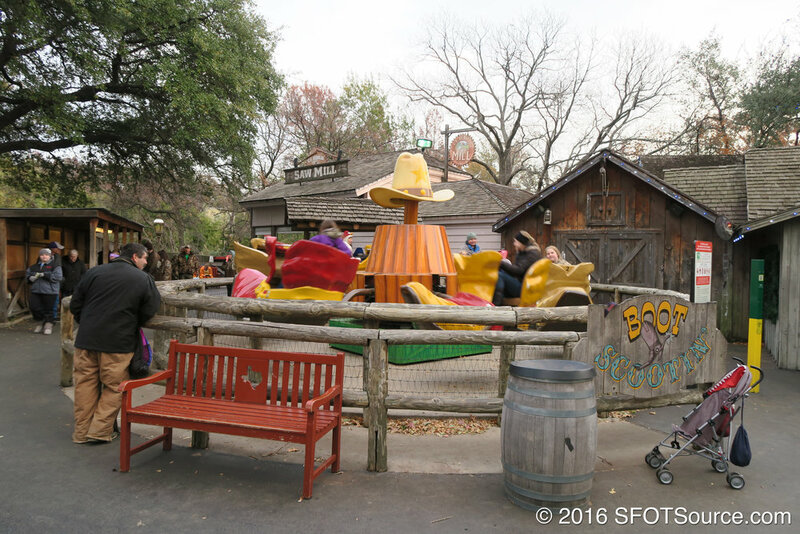 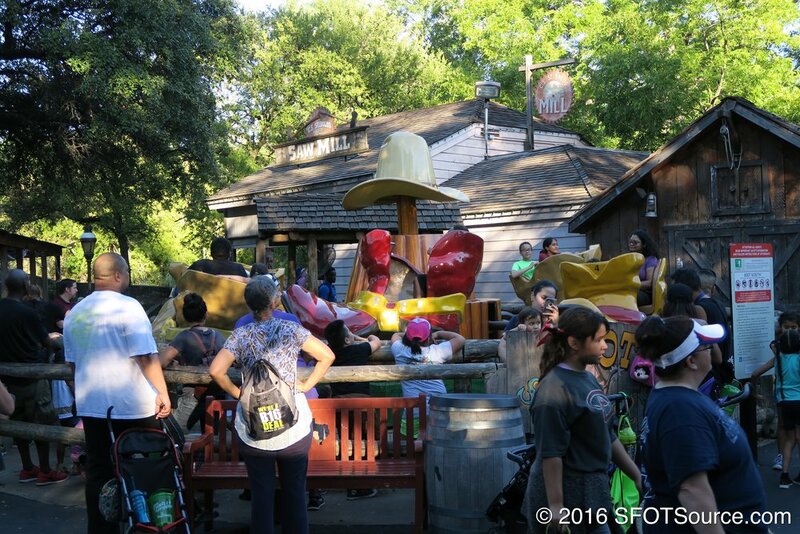 Boot Scootin' is a children's attraction installed for the 2006 season as a part of a 10-attraction package for Six Flags Over Texas’ 45th anniversary.. 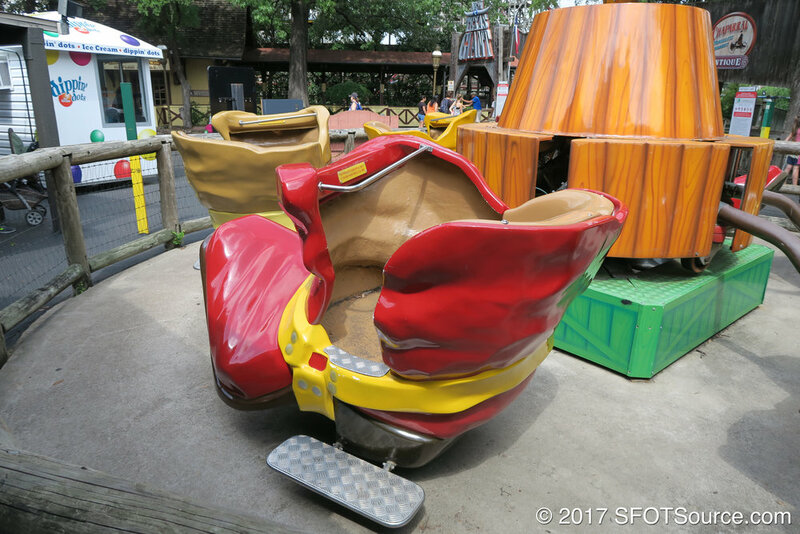 The ride fits uniquely into the area as it is themed to huge boots. 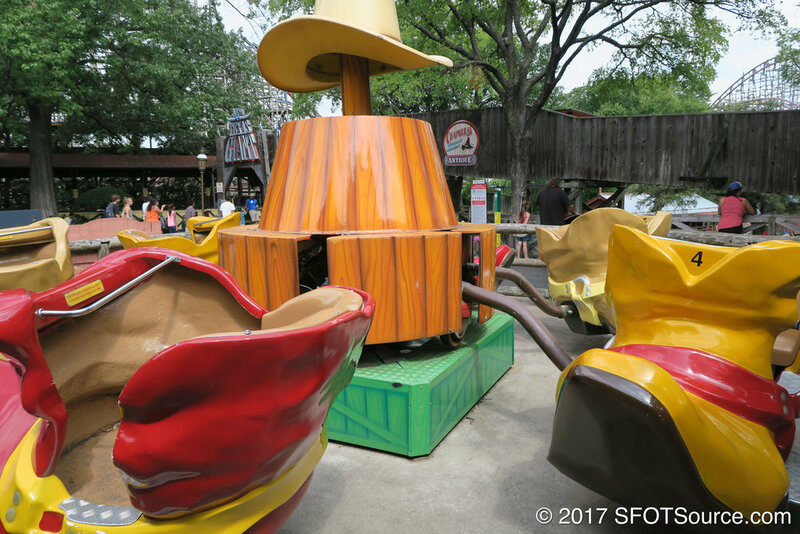 The boots travel in a small circle and gently bounce riders.